MOPS (Mothers of Preschoolers) is a worldwide ministry that encourages mothers of young children who are adjusting to the joys and challenges of motherhood. MOPS is about celebrating motherhood, meeting needs, making connections, and experiencing God's love. 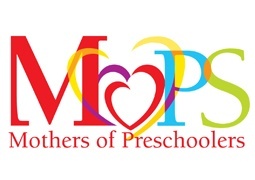 MOPS meets on the 2nd and 4th Fridays September through May from 9-11:30 AM. For more information about plugging in to MOPS, please contact Sharon Nickerson.